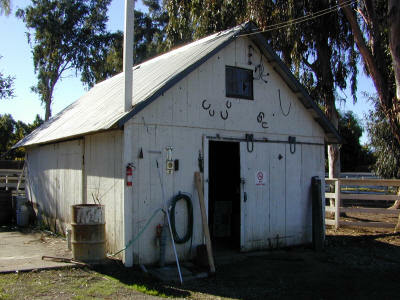 The Tool Shop, originally had a table saw in it with the saw motor outside in back. The original table for that saw is still present, but non-functional. 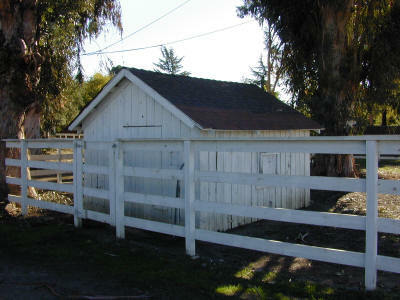 The old chicken coup, about to be made into a tack shop. 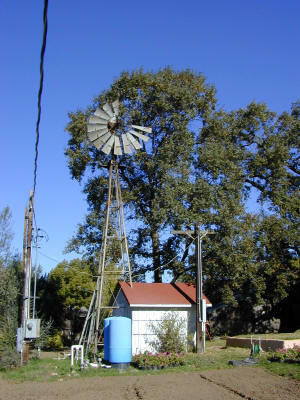 Probably the oldest well in the valley, still operating, although not by wind power any longer. Wisteria Arbor. 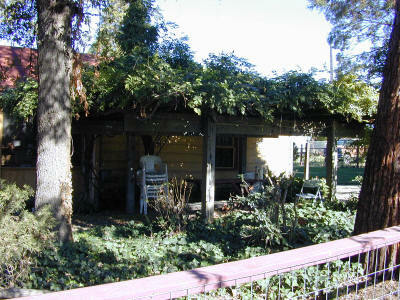 This Wisteria is over 140 years old, and is likely the oldest living Wisteria in the Livermore Valley.